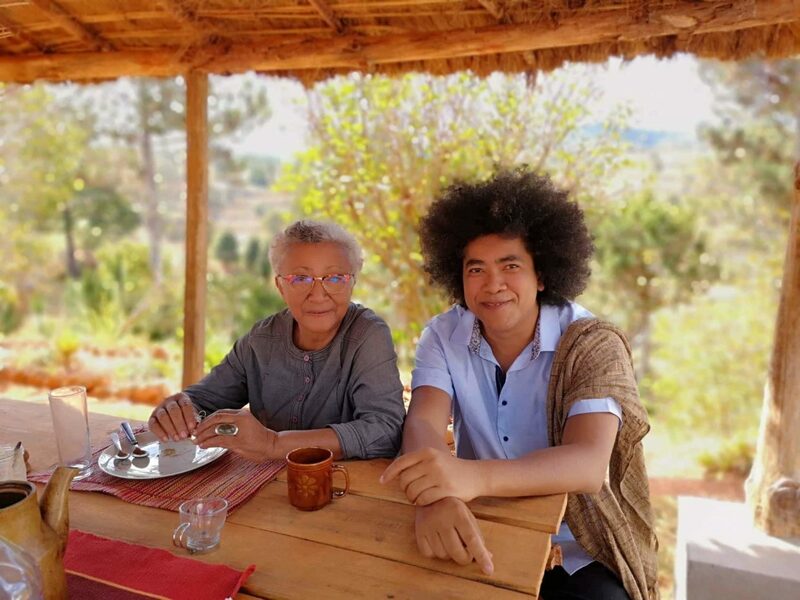 Opération Bokiko (pronounced like a French person saying “book”) is Michèle’s initiative to champion, kickstart, save, and revive literature in Madagascar. This prolific, decorated author, who spent decades in France as a political exile (like many other artists and scholars), has been back in her home country for several years. She sees the enormous need in literature, the lack of governmental support for the arts, the practically non-existent non-profits, and tries to fill the gap. But Michèle has to have grand schemes. There’s so much to do in Madagascar for books, authors, publishers, and readers. 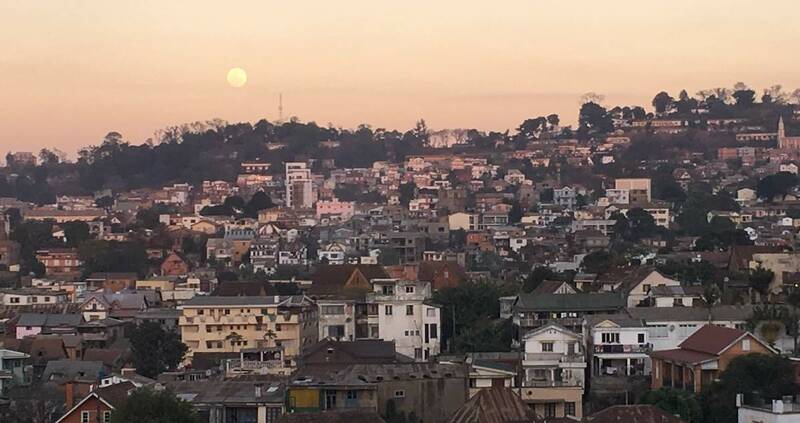 From an American perspective, the publishing industry seems horribly informal, not even worthy of the term “industry.” There are maybe a dozen publishers in the whole country, no printing presses (most books are printed and shipped in from France or Italy), and precious few bookstores: the capital city of Antananarivo only has about eight for its 1.3 million inhabitants. But then, at least 30 percent of the country’s population is illiterate (the CIA World Factbook reported 35.3 percent in 2015), and it’s one of the poorest in the world. Books are almost luxury items. To give an idea of scale: In the States, new books are roughly ten times more expensive than a bus fare (approximating $20 vs. $2, respectively). In Madagascar, new books printed abroad cost roughly a hundred times more than a bus fare. Why would there be more bookstores or publishing houses when demand is so low? There aren’t any government initiatives to help, either—on the ministry level, Culture is currently lumped in with Communication, and has at various times been grafted onto Tourism, or Artisans and Patrimony. They don’t really get any budget anyway. So, Michèle toils away in service of the arts, like many other individuals in Madagascar. The Opération Bokiko meetings that I attend are full of new and ongoing projects: editing and publishing the debut novel of Sitraka, a young author from Toliara in the south of Madagascar, whose book will, according to Michèle, make people interested in reading again; solidifying their business plan to prioritize short novella-style works with pictures, to pique the interest of new readers; planning the next Salon du livre; creating a federation of like-minded organizations to collaborate on projects; and working with some of the staff at her house in the countryside to sell books at the regional Saturday market, in an area where reading is something you do at school, if you’re lucky. It’s a long list. Somehow, Michèle holds it all in her mind. She also delegates well. The four small tables we’ve pushed together, strewn with platters of pizza and half-downed glasses of juice or coca-cola, are crammed with her collaborators and mentees. She tells me about the nature, and the history of the area, and the people who work the land, even as she herself makes new discoveries . . . In order to meet Manantsoa at 10 am, at the small restaurant in the center of Tana, we had to rise with the sun. Michèle’s house is an hour (or two or three, depending on traffic) outside of the city, near a village called Ambohimanga. It’s a modest house on modest land, but it seems to be one of the last holdouts of community living in the countryside: every other house (anything bigger than a two-room shack) is hidden behind thick stone walls. She’s pointed out her neighbors with affection or derision, depending on what they’ve done for the community. I never quite get over the fact that I’m having dinner with Michèle Rakotoson, the great author, playwright, and journalist who’s published dozens of novels, memoirs, short stories, and a young adult book, as well as hundreds of essays and articles. In 2012, the Académie française awarded her its Grande médaille de la Francophonie in recognition of her body of work. During the 1980s and 90s in France, she worked for Radio France Internationale and France Culture, where her responsibilities included running their literary competitions. She has founded, shepherded and contributed to dozens of magazines and journals, including Revue Noire. Her plays have been performed on three continents, including Sambany, which she wrote in French and Malagasy versions and which has become a scholarly classic. She’s even been a writer-in-residence closer to my home, at the University of Providence (although that was in 1990, and I was a little too young for her to be on my radar). Michèle is also an indefatigable activist, organizing campaigns to protect and promote Malagasies and their culture. Opération Bokiko, founded in 2007, is merely the latest of her endeavors. In the past dozen years, it has trained editors, launched new writers’ careers, published books, organized a regional short story competition, and held book events in several cities around the country. It’s an uphill battle, but so far, a rousing success. In her countryside home, though, Michèle is “Madame à la campagne,” the grande dame in the countryside, and she’s spent several years learning the ways of this place. The people who work for her teach her how they irrigate and grow their crops, their survival tactics, and the social norms that she, as a city-dweller, had never known. In turn, she helps them set up bank accounts and hounds them about hygiene, requiring that they and their rooms be clean. We talk over dinner and she tries to tease out the complexities of her relationship with the domestiques, how she feels like a princess with servants, how she’s trying to do some good by paying them a living wage and allowing them time off every week, and how she is trying to make sustainable progress in the face of abject rural poverty. I wonder how I can ever translate domestiques into English, and realize that the problem I have with calling them “servants” or “the help” is a reflection of her wrestling with employing them in the first place. But as an older woman living on her own in a place with no laundromats or tow trucks or microwave dinners, she definitely needs the help. Before my trip, I’d envisaged these dinner conversations a little differently, hoping for lengthy conversations about Lalana, her 2002 novel. 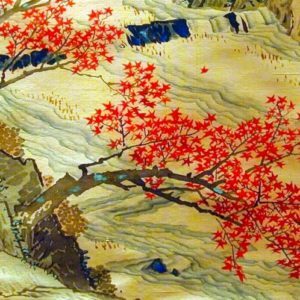 (It’s the whole reason I made the trip: The National Endowment for the Arts gave me a fellowship to translate it, which provided enough funding to cover the rather expensive plane ticket to the other side of the world.) Lalana is a masterpiece—Michèle agrees with her critics in this respect. It is her densest and most mythical novel, a reflection on death within a cathartic voyage that brings a dying man closer to his history and ancestors, told in a musical language that descends directly from Malagasy oral storytelling traditions. It tells the story of Rivo, a disenfranchised young man dying of AIDS in the Tana slums. He is so desperate to see the ocean for the first time that his friend borrows a car, springs him from the hospital, and drives him east. Lalana is also firm evidence that she is a master storyteller, one who can just as easily dress herself in the garb of a French writer as a Malagasy one. But years have passed since she wrote Lalana, and although Michèle is happy to show me the story—one Sunday, she takes me to Ambatomanga, her grandparents’ village, where a third of the novel is set, and we spend an enchanted day bringing the book to life—she usually talks about other writings. A bit of what she’s currently working on, of course, as it tumbles around and marinates in her head, but far, far more of what other people have written. She brings up Raharimanana a lot, another titan of Malagasy literature, who has also lived in France for a long time. Revenir, his most recent book, is stunning, and it is an almost otherworldly experience to witness the admiration of one great author for another, in many ways her equal, but whom she speaks of with reverence. She tells me of his journey to create Revenir, what he has lived and gone through in order to produce it, or at least what she can see from the outside, and I make some inane comment about seeing how the sausage gets made, but she quickly disabuses me of that notion: “If I knew how other people wrote? What an awful thought!” It’s too personal, too intimate, too torturous of a process to ever want to know. Yet there’s also Naivo, who’s debut novel I translated into English (Beyond the Rice Fields, published by Restless Books)—she mentored him through the process of becoming a writer, and there’s a mixture of pride and admiration in her voice as she talks about his potential to surpass even Raharimanana. She talks about the publishing side, too: Editions Mixte and Tsipika, the stalwart publishers (that seem to me like scrappy outlets) of the old guard in Madagascar, which publish mostly nonfiction and textbooks. There’s also Dodo vole, a newer enterprise started by author Johary Ravaloson and artist Sophie Bazin, to publish contemporary novels, essays, and children’s books from Madagascar and Reunion; they’re getting more funding now after their recent relocation to Normandy. RanjaSoa Publishing, a diasporic venture based in Washington, DC, has recently launched a Malagasy-language literary magazine, the only one that currently exists. They’re all doing what they can, even if they sometimes feel that they’re making things up as they go along. Shortly before I return home, Michèle and I schedule an afternoon to hash out the questions I’d marked while working through the first draft of translating Lalana. It doesn’t take long. Over half of the questions, I can answer myself. I’ve learned those things over the course of my three-month stay. Michèle was teaching me to live in Madagascar, immersing me in Madagascar, instead of feeding me piecemeal answers from a distance. There is a day when Raharimanana visits the house, to spend time with an old friend and meet a new one. A surprising, tingly kind of anxiety crops up at the prospect of spending an entire afternoon with two of the greatest authors I’ve ever tried to translate. But all three of us are only human, after all, and we have tea at the shaded picnic table outside, talking mostly about things other than writing. We go for a meandering walk through the hilly countryside, and the sun shines golden as we walk a path that Michèle and I both know. Raharimanana and I both have lamba scarves draped around our shoulders. We view the world through the lens of Raharimanana’s camera phone: he frames small details, a play of light and shadows, with an artistry that predates his mastery of words. 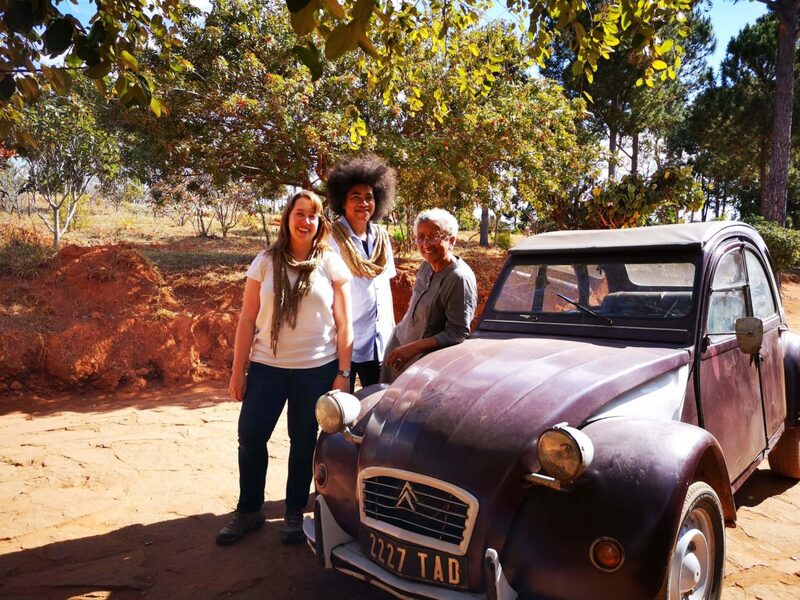 Upon our return, he leads us to the dusty violet 2CV for a picture, and there’s an ease, a soft joy, a deep confidence captured in a moment unlike any I’d experienced before. It is not that I stand on the shoulders of giants, but that a rising tide lifts all boats. And here, in the middle of the Malagasy countryside, I can both sail on new waters and help to open the floodgates.